CHARLOTTE, NC (August 5, 2013) – #FIBS. Now that’s funny – and pretty pointed – especially if you’re from Wisconsin. In today’s world where news is delivered on Twitter and punctuated by a #, Travis Kvapil’s tweet about his run-in with Danica Patrick in Sunday’s NASCAR Sprint Cup event at Pocono Raceway was hilarious. For Kvapil – a Janesville, WI native – it was the classic Badger state dig on someone who calls Illinois home. Someone like Patrick for instance, who originally hails from Roscoe, IL. Don’t get me wrong. I’m not bagging on Kvapil. As someone who hails from both Illinois and Wisconsin, I found a chuckle in it. I also found it to be an example as to how much driver confrontations have changed. Back in the early days of stock car racing, drivers had conversations face-to-face – not 140 characters or less global cyber dust ups in public forums like Twitter or Facebook. If a driver had a ‘beef’ with another competitor, they’d get nose to nose, swear it out, and maybe even exchange a punch or two. By the time this writer had hit the stock car trail full-time in the early 1990’s, sponsorship had become a large part of success of motorsports and drivers needed to be more accountable. There was still plenty of conflict, swearing once and awhile, but a punch or two got pretty rare. Most of the time, things never got more physical than what commonly became called the ‘dance’ – where everyone pushes, shoves, and hugs each other a little. ‘Yeah, they just danced around a little’ was the quip in the garage area if you asked someone about an altercation afterward. These days, nobody even ‘dances’ much. And you sure the hell don’t see anyone rolling around on the ground punching each other either. Travis throws a double jab – one at Danica – the other at the entire state of Illinois. Down goes Petty! Down goes Petty! We’ve entered a new dimension Spock. It’s an era where NASCAR drivers from the defending champion Brad Keselowski on down those on the bottom of the standings – like Hamlin this season – fight their ‘fights’ in virtual reality. 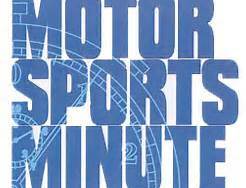 Others – like Hamlin, Keselowski and Joey Logano for instance – like to ‘muscle up’ on the web. Bottom line – almost all drivers openly express displeasure with fellow competitors, the sanctioning organization, and comment about all other forms of societal events on the ‘Interwebs’ these days. Freely and willingly – and with no filter. Wanna take a shot at somebody? Just rattle off something pithy on your phone or pad and hit send baby. The funny thing is those throwing the most punches on Twitter – you know who you are – somehow wind up taking quite a few shots back. Then again, that’s what you get when you go for the KO punch in a public forum. First, you can be pretty sure the one you are swinging at is going to be punching back with their own little 70-character poem. Meanwhile – hundreds, thousands, maybe even millions of others – will be offering witticisms thanks to your making your on-line drama a global phenom. Talk about a Pier 6 brawl! Everyone enjoys a good fight. And, honestly, this new Internet tweet fighting is better than the old school battles of lore – the ones I so fondly remember. Now, I get a ringside view without leaving my easy chair. And, as in most fights, someone usually comes out looking a little silly or stupid. Someone even gets bloodied once and awhile – except since it’s in the Internet, it’s just virtual baby. Keep the tweet fights coming gang. It’s almost better than the racing sometimes. John Close covered his first NASCAR race in 1986 at Bristol. Since then, Close – a former Associated Press newspaper sports editor – has written countless articles for numerous motorsports magazines, trade publications and Internet sites. His Close Calls column appears each week on www.CloseFinishes.com, www.MotorsportsAmerica.com and www.RacingNation.com. Close has also authored two books – Tony Stewart – From Indy Phenom To NASCAR Superstar and NASCAR Craftsman Truck Series – From Desert Dust To Superspeedways. Close is a weekly guest every Thursday at 1 p.m. Eastern on Tradin’ Paint on NASCAR SIRIUS Channel 90. You can follow John Close on Twitter @CloseFinishes and on Facebook at John Close.